Fleet Feet is proud to announce a new event to bring awareness to the gift of organ and tissue donation. On October 20, 2018, please join us at The Barn in West Sacramento, CA, for a 5K run/walk and a Kids’ Hero Half Mile Fun Run. 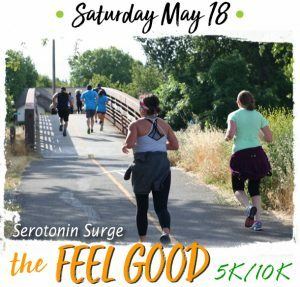 Be the Gift 5K Run/Walk aims to raise funds for Sierra Donor Services Public Education department that brings awareness to the state and national Donate Life registries. In the Sierra Donor Services’ area, more than 2,300 people now wait for a life-saving organ transplant. The need for transplants far exceeds the number of donations in the area covered by Sierra Donor Services, and across the nation. Currently, in the United States, about 114,000 people wait for an organ transplant. One third of them will die waiting for a transplant. Post-race activities include a butterfly release to honor donor families and informational booths from the American Heart Association, Bloodsource, and the UC Davis Transplant Center. Sierra Donor Services is also proud to have the founder of The Recycledman Foundation, Derek Fitzgerald, at Be the Gift 5K Run/Walk. Derek is a cancer survivor and a heart transplant recipient. Derek has completed over 80 endurance events, including a full Ironman triathlon.